The 16 “rebels” were hanged overnight following clashes in which 14 border guards were killed on the frontier with Pakistan. 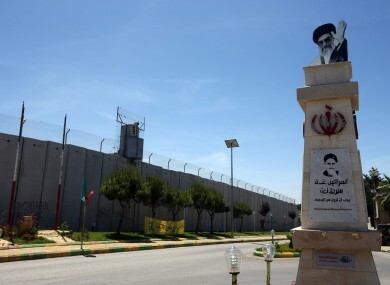 THE IRANIAN AUTHORITIES today hanged 16 “rebels” following overnight clashes in which 14 border guards were killed on the frontier with Pakistan, a judicial official said. “Sixteen rebels linked to groups hostile to the regime were hanged this morning in the prison of Zahedan in response to the death of border guards in Saravan,” Mohammad Marzieh, the attorney general of Sistan-Baluchestan province, was quoted as saying by Fars news agency. The official IRNA news agency, quoting what it called an informed source, said the clashes in which the border guards were killed occurred in a mountainous region used by both drug traffickers and armed rebels. He added that “three soldiers have been taken hostage and taken to the other side of the border in Pakistan”. The Sistan-Baluchestan province, home to a Sunni Muslim majority, has seen militants from the Sunni group Jundallah (Soldiers of God) launch bloody attacks in recent years. In October 2012, a suicide attack against a Shiite mosque in the far south of the province killed at least two people and wounded several others. Email “Iran hangs 16 after deadly border attack”. Feedback on “Iran hangs 16 after deadly border attack”.